It’s almost Digital Scrapbooking Day! 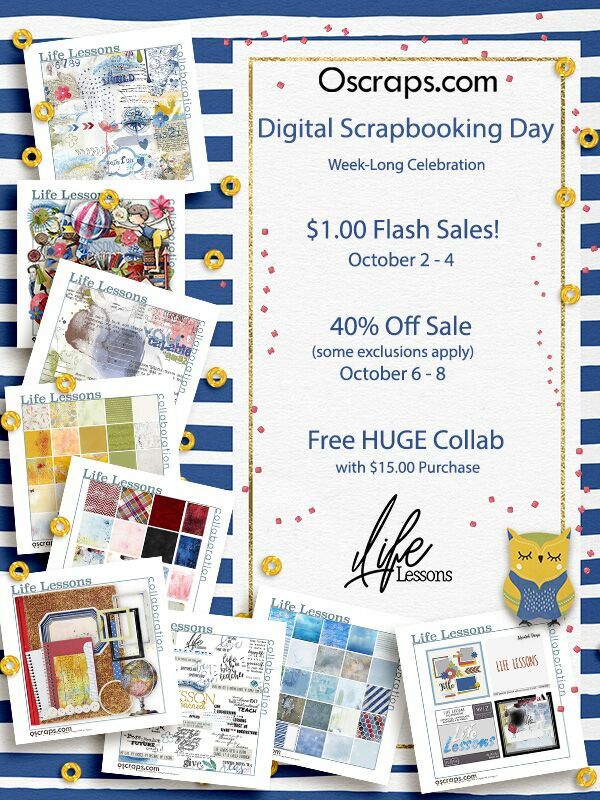 Can you believe it is nearly time for Digital Scrapbooking Day ? To kick off the celebrations, Oscraps is having three days of flash sales, starting tonight, when the Oscraps Newsletter goes out. Each day new products will be offered for just $1 each. Then, on Thursday night, when the second newsletter goes out, we are having a 40% storewide sale. Autumn Breeze will be available in my other shops as from November. Save up to 50% in my Etsy shop! I’m having a sale in my Etsy shop through October 7th !